Did you know that avocados are beneficial to health and beauty? Thanks to the natural oil of Avocado in the Body Oil and Capillary Love Nature, your hair and skin will be magnificently nourished and protected. It is a product rich in emollients and Vitamin E, known for their antioxidant and protective properties. It moisturizes, nourishes and softens the skin of your body and hair. Absorbs quickly and does not glue. In addition, it is biodegradable – like all Love Nature products. The Body and Hair Care Love Nature Care not only provide a soft feel, a delicious and maximum fragrance of efficiency, but also do not contain silicone and are biodegradable – which means that do not cause a negative impact on aquatic life and are better for your hair! Delicious and nutritious, avocado is beneficial to health! The Nature and Capillary Oil with Love Nature Avocado Oil contains emollients and Vitamin E, known for its antioxidant properties. This oil moisturizes, nourishes and softens the skin and hair. Just a small amount to keep skin and hair smooth and healthy looking. Massage the oil in a circular motion so the skin absorbs the product, and apply a small amount evenly on damp or dry hair, from the medium to the tips. Fast absorbing and non-oily, this oil delivers a delicate fragrance. Good for body and hair. Hair Nutrition: With damp hair, apply a small amount of Body Oil and Capillary with Love Nature Avocado Oil from the middle to the tips and comb. Then wrap your hair in a towel. Avoid applying oil on the scalp. Leave on for two minutes. Do not rinse. The hair becomes smoother, easier to comb and with a healthy glow. 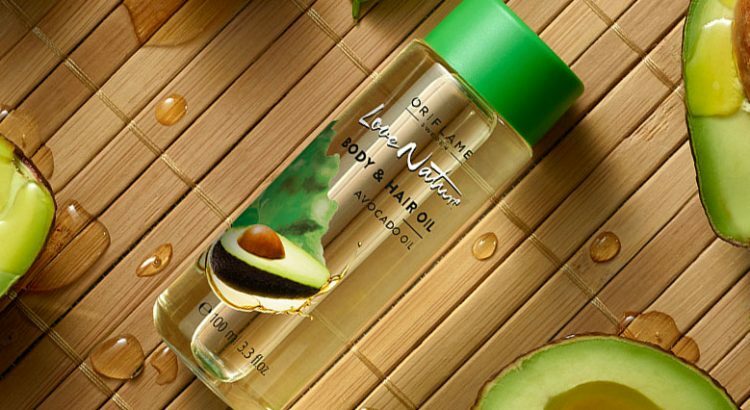 Body Nutrition: Apply Body and Oil with Love Nature Avocado Oil throughout the body after shower on dry skin, replacing normal body cream to nourish the skin. Reapply whenever you feel dry and lacking in nutrition. Massage into the body for a hydrated, nourished and smooth skin. 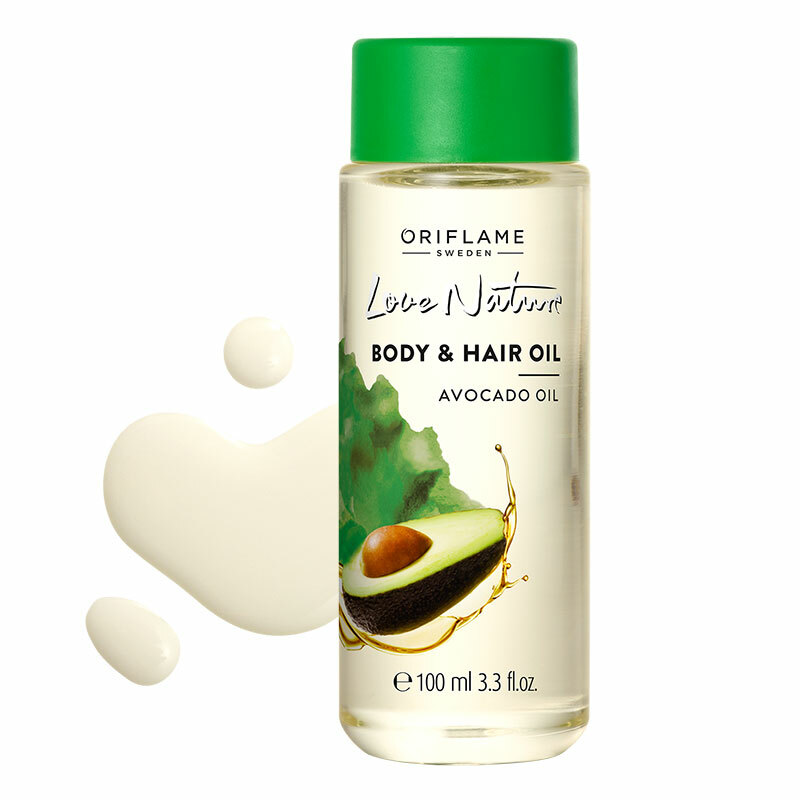 Love Nature’s Body and Capillary Oil with Avocado Oil covers the hair strands, giving them a healthy glow. 100ml.